Two major things are happening this week: in Chicago we are seeing record setting low temperatures and the Superbowl is on Sunday. What do these two occasions have in common? 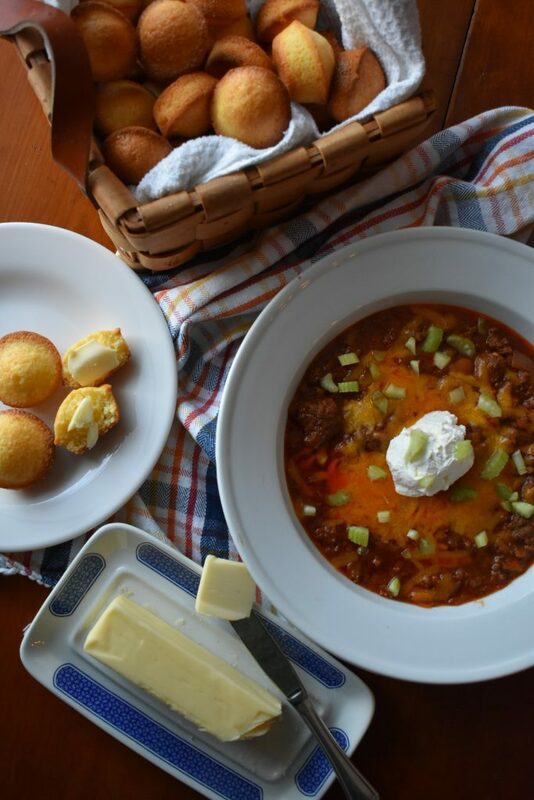 Both call for a hearty bowl of chili! Now, here at Mama Jess, we understand that chili is a highly contested meal. To bean or not to bean, that is one of the questions. Today we chose not to bean, and went for a super low carb chili dish! 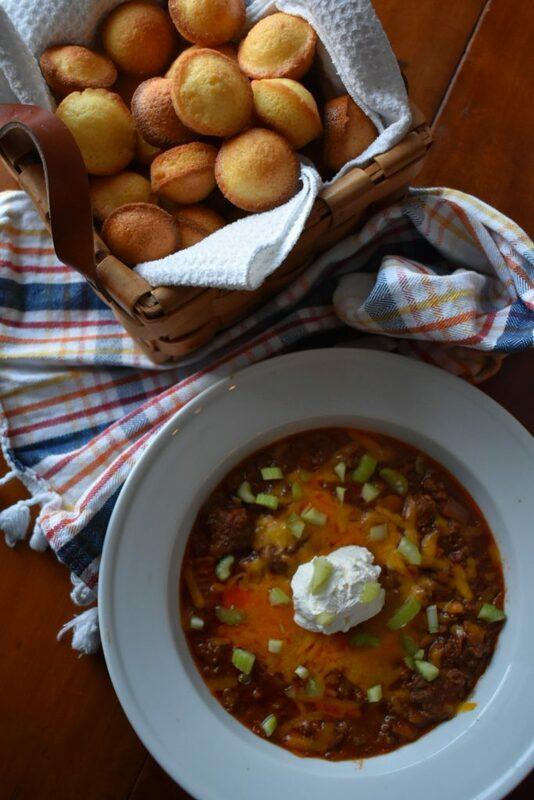 This is perfect for all of our keto friends out there, or anyone who is just looking for a great chili recipe. The best part? You could always add beans! The thing that takes the longest is the prep. The chopping, dicing, blanching, more chopping, slicing…but it’s worth it! After that, all you have to do is throw everything into a pot and let simmer for an hour and a half, stirring every now and then! Okay, fine, maybe there are two steps in between there…but it is essentially that easy. We hope our Midwest friends are staying inside warm and safe this week and to everyone else…we are jealous of your weather. 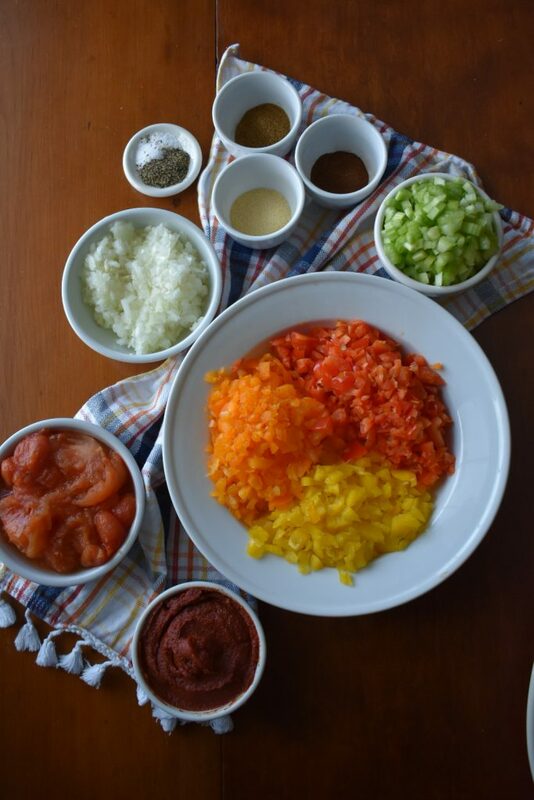 Prep your veggies by dicing up the bell peppers, blanching then roughly chopping the tomatoes, chopping the onion, and thinly slicing the celery. In a large pot add the oil and sauté the onions and peppers until soft. When the beef is brown, add the blanched tomatoes and tomato paste, stirring. Mix in spices and water. Let simmer for 90 minutes, stirring occasionally. Prior to serving, add celery (to give it some crunch).